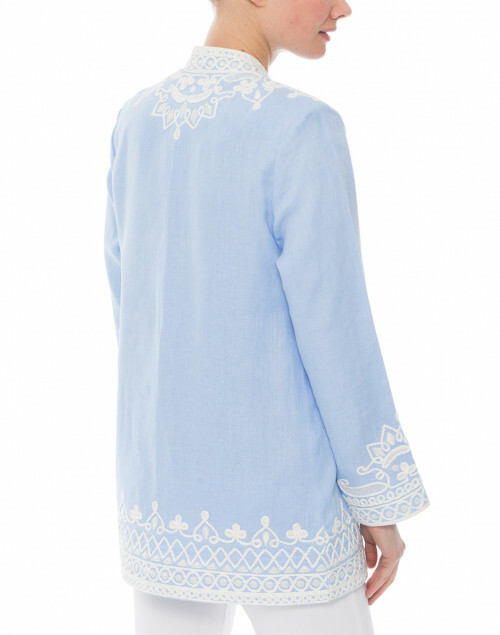 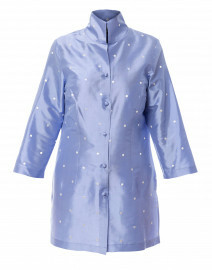 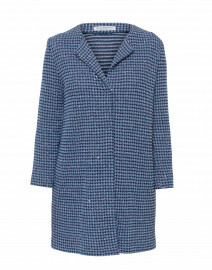 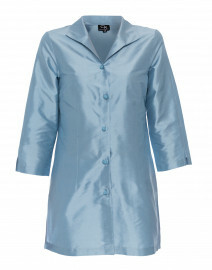 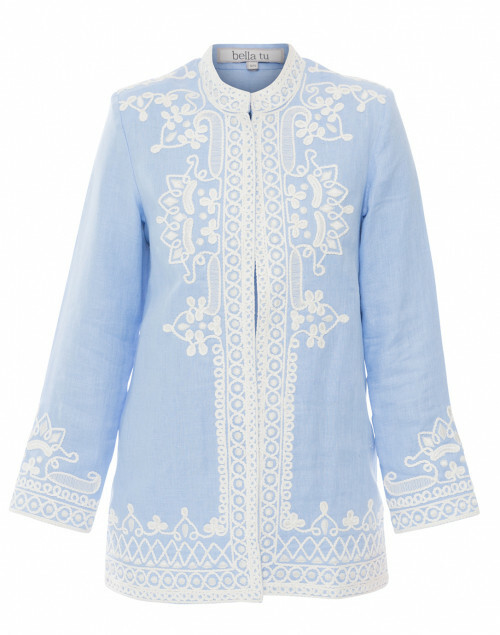 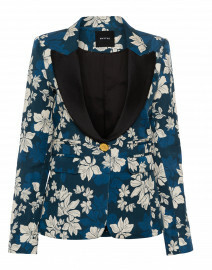 The perfect warm-weather topper, Bella Tu's embroidered blue linen coat is an elegant choice for day or evening. 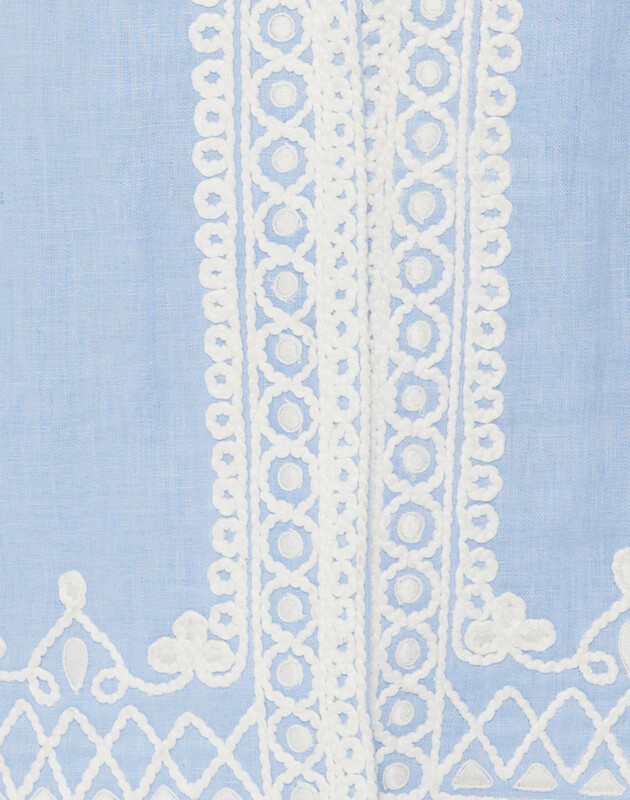 The intricate embroidered design is subtle yet eye-catching. 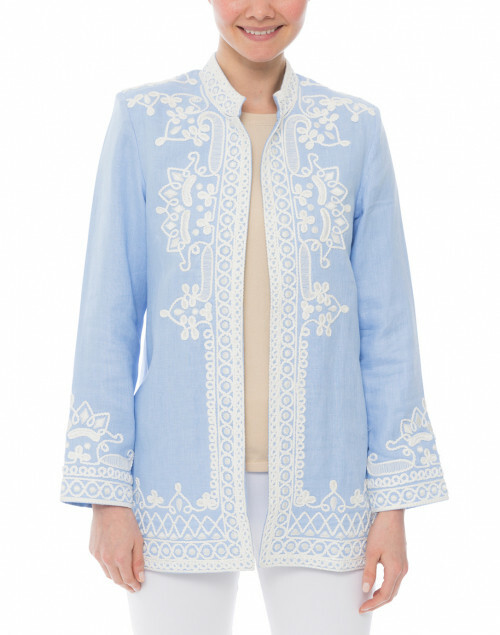 The high neckline and bracelet-length sleeves allow for the addition of statement jewelry. 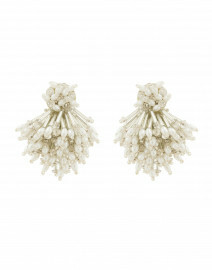 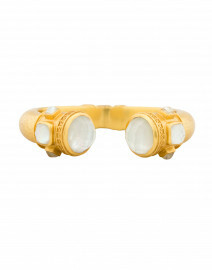 Pair yours with slim white pants and a blue clutch for a chic dinner date look. 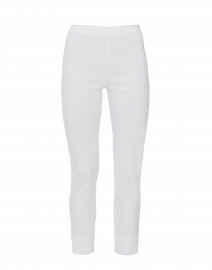 Length 29" 29" 29" 29" 29"
Shoulder Width 14.5" 15.25" 16" 16.5" 17"
Bust 36" 37" 39" 42" 44"
Waist 35" 36" 38" 40" 42"
Hip 40" 41" 42" 45" 47"
Sleeve Length 22.5" 22.5" 22.5" 23" 22.5"